The Infinite MP Exploit in Kingdom Hearts 3 lets you spam magic almost endlessly. It’s a little trick you can pull that will turn you into an absolute magic beast. However, it does require a lot of legwork at the very least. You’ll need to earn a specific item, and also unlock a certain ability by leveling up. 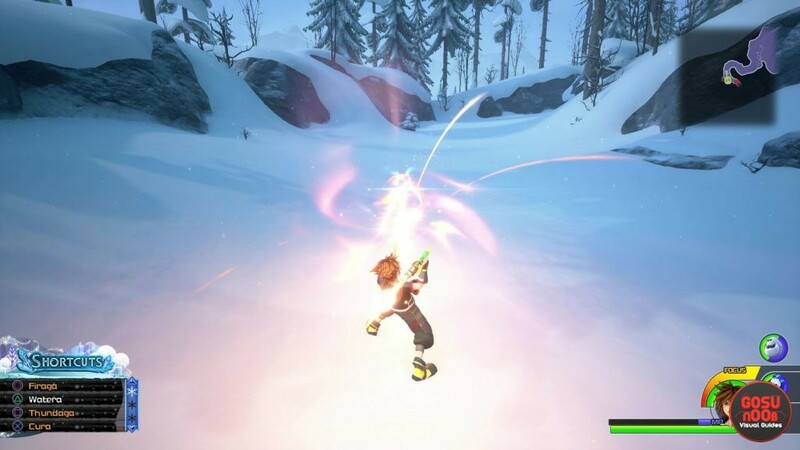 Our Kingdom Hearts 3 Near Infinite MP Exploit – How to Spam Magic guide will show you which ability and item you need to get almost unending magic in the game, and how to pull the exploit off. How to Do (almost) Infinite MP Exploit & Spam Magic in Kingdom Hearts 3? As if magic in Kingdom Hearts 3 wasn’t broken enough already. The first thing you’ll need is one item and one ability. The ability is Magic Combo Thrift, which unlocks after you reach a certain level. Mystics get it in very early levels, while it unlocked on level 44 for our build. Quite the discrepancy, but oh well. This ability reduces the MP cost by 1 with each successive cast. The item you’ll need is the Mickey Clasp, which you get buy finding all the Lucky Emblems in the game. The Mickey Clasp lets you continue magic combos as long as you like. See where this is going? Of course you do. Once you have both elements necessary for the exploit, start firing some magic with a relatively low MP, like Fira or something. After you fire it the amount of times that it costs initially, the cost of magic will now be 1 MP. At that point, you can just switch over to whatever highly-destructive spell you want, and it’ll cost you one MP. The only catch is that you should try and not break the combo, lest the counter resets. If you execute it correctly, you’ll become a monster of magic, able to rain absolute devastation and Armageddon on your enemies. The only exception are the Cure spells, which will drain your MP meter no matter what. So, as we’ve mentioned, you’re going to have to get all of the Lucky Emblems, or Mickey Heads in the game to get the Mickey Clasp. And that’s quite the undertaking. Fortunately, we have a bunch of Kingdom Hearts 3 collectibles guides to help you get them all. We’ve got Arendelle Lucky Emblem Locations – Hidden Mickeys, San Fransokyo Lucky Emblem Locations, and Caribbean Lucky Emblem Locations Map, among all the others.